From AFP, independent : The head of Russia’s national space agency has proposed a mission to the moon to verify whether the American moon landings really took place. Dmitry Rogozin responded to a question about whether Nasa’s Apollo programme actually put men on the moon back in the 1960s and 1970s during a conversation with the president of Moldova, Igor Dodon. 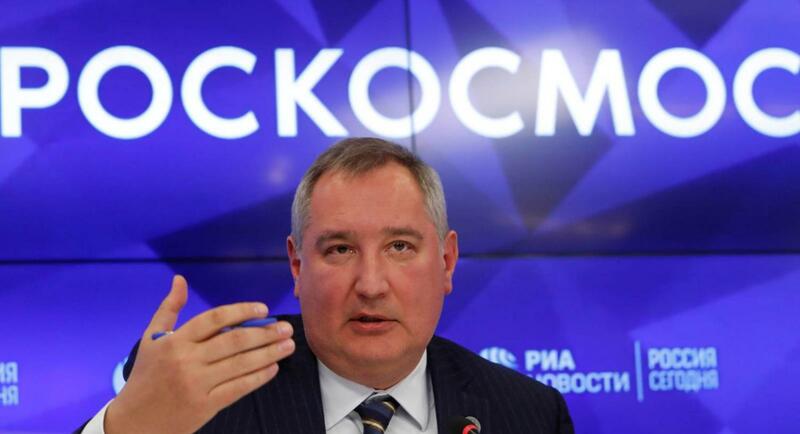 In a video of their interaction, posted to his 815,000 Twitter followers, Mr Rogozin says: “We have set this objective to fly and verify whether they’ve been there or not”. Nasa’s six well-documented official manned missions to the surface of the Moon, beginning with astronauts Neil Armstrong and Buzz Aldrin in July 1969 and continuing with Gene Cernan and Jack Schmitt in December 1972, have been dogged with conspiracy theories. Vladimir Markin said an enquiry should be launched into the disappearance of original footage from the first moon landing in 1969 and the whereabouts of lunar rock, which was brought back to Earth during several missions. “We are not contending that they did not fly [to the moon], and simply made a film about it,” he wrote in an op-ed published by Russian newspaper Izvestia. The Soviet Union abandoned its own lunar programme in the mid-1970s after four experimental moon rockets exploded. Earlier in November, Mr Rogozin revealed plans to start building a base on the moon after 2025, with the project exceeding the US Apollo programme of the 1960s and 1970s in terms of scale. The programme will put its first humans on the moon by 2030 or 2031.